If the Modi Government has its way, it will make the real common man to fly. No kidding. With it's ambitious UDAN - Ude Desh ka Aam Nagrik (Let the common man fly) which is a rehash of the regional air connectivity proposed by the UPA Governments but with a lot more incentives to Airlines and of course flyers. The fare for a one hour flight is capped at Rs. 2,500 adjusted to inflation. Whether the one hour is block time or flying time is yet to be clarified. And many other things too. If technical details about UDAN interest you, read this column written by The Flying Engineer here. India has over 450 airstrips/airports that were developed and built during the WW 1 & WW 2 by the British for strategic purposes. How many of you may know, unless you are from surrounding areas that we have airports in most obscure locations that one would have never thought of, such as Vellore and Salem (Tamil Nadu), Kadappa (Andhra), Gubarga (Karnataka), Raxaul & Muzaffarpur (Bihar) and so on. Most of these lay defunct with AAI not having funds to develop them or Airlines ready to ply there for various reasons. 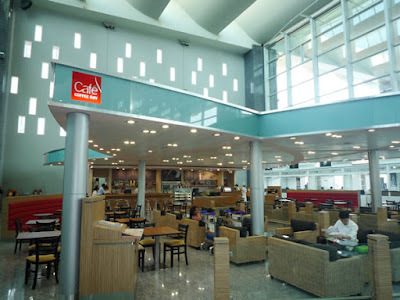 Such airports also include the ones at Pondicherry and Mysore, just to name two of them, which are very interesting tourist places but are not really well served. When local politicians announce their charter for upcoming elections, there is a mention of developing a local airport but the idea dies down after the man (or woman) occupies the high seat. Due to this, many thousands of people are forced to undertake alternate routes for travel by road and rail which are cumbersome and times taking as well. The Federation of Indian Airlines (FIA), which represents IndiGo, Jet Airways, SpiceJet and GoAir, has written to the Union Civil Aviation Ministry terming the proposed regional connectivity levy as “illegal” and “in contravention to the Constitution of India.” It said the government is not empowered to levy a tax on airlines to fund the regional connectivity scheme under the Aircraft Act of 1934, quotes The Hindu. And their grouse is understandable. The Civil Aviation Ministry's guidelines already includes flying to certain far-off destinations across the country including the North East which doesn't attract flight loads and hence dampens the revenue prospects for the airlines. Given the scenario, as a former Airport Official and a Retailer, here is my recipe for a resounding success to this ambitious plan. Commercial Revenues can significantly reduce the burden on the Ministry as well as the Airlines, if they were allowed to be rightfully exploited. Worldwide, even the top airports such as Singapore, Hong Kong, Dubai and Frankfurt boast more than a fourth of their revenues coming from non-aero revenues. This has been, mostly a well-planned strategy executed over the past 4 decades by these airports, given the opportunity to derive non-aero incomes, especially from the millions of passengers who fly everyday across the world. 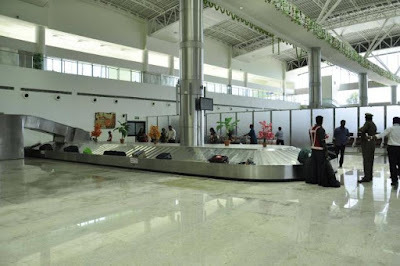 It is common knowledge that the Terminal Building in a small airport such as Salem which would have probably two flights a day will mostly remain unused all day (and night) whilst occupying thousands of acres of land. One of the best ways to put to use the idle areas is by constructing relevant retail areas in these locations. Sounds weird? Let me explain. Continuing the example of Salem, it is a prosperous city with the Salem Steel Plant employing thousands and also being a business hub due to its native industries in apparel manufacturing and of course agriculture. People here have the money and aspirations to fly, travel the country and the world. But in most cases, they have to visit Chennai to take a flight forward. 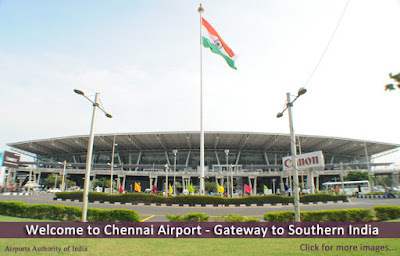 While Coimbatore is closer, it doesn't operate flights to all parts of the world or even connect important hubs within India. It is also important to note that cities like Salem do not have a so called popular Mall with domestic and international Retailers, although there is quite a bit of shopping and dining that happens all over the city. Therefore, by commercialising the landslide (the city side) areas of this airport and allowing private partners to Build-Operate-Transfer the assets to the Government, it would probably be a double whammy. The biggest issue with airports today worldwide is the safety and security factors. But this would be well taken care because the commercial areas would be located in the landside and visitors (to the Mall) will have no access to the terminal building and beyond. Only passengers with valid boarding documents would be allowed inside the Terminal Building. At the same time, the Restaurants at the roof top of these buildings will provide a massive view of the runway and the city as well as the parked aircraft which is always a delight to watch. A part of the vacant land may also be used to build budget hotels, thus ensuring a 365 day use of the asset. While the idea sounds cool, the biggest issue here is execution. AAI runs most of the airports in India including Chennai and Kolkata and currently only four airports at Bangalore, Hyderabad, Mumbai and Delhi have been privatised. It is to be noted that these four airports contribute over 75% of the air-traffic in India and also act as hubs for international travel. Much has been written, discussed and debated about the perils of privatisation of Airports over the past decade. And the Government may take the best of what has been done in since 2006 regarding airport privatisation and perhaps move on. Alternately, the airport may continue to build and maintain the Terminal building, the Runway, the ATC Tower and other technical facilities while the other areas are handed over to private operators. Overall, Retailers have a great opportunity to grab this opportunity. India's largest cafe chain Cafe Coffee Day put up its first cafe at HAL Airport at Bangalore in the late 90's and continues its focus in the airports and has a major presence all over the country. Many other retailers can take a cue out of this and explore other retail opportunities. 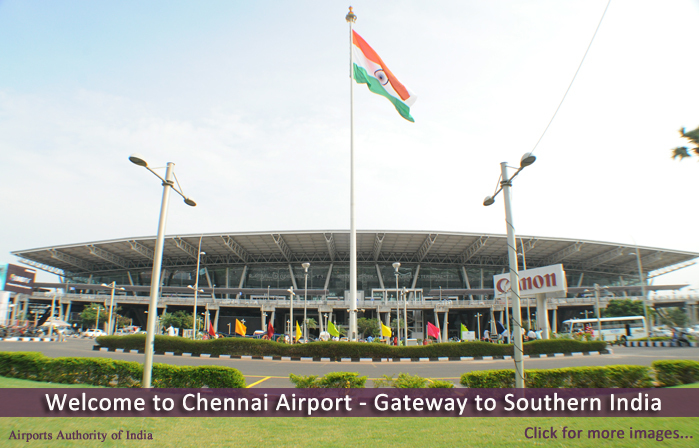 Chennai Airport is out with its upcoming Retail Tender, details of which can be accessed here. I hope to see Retailers take advantage of this sky-high (pun intended) opportunity and also be a part of this upcoming growth opportunity. For the first time, Retailers in Chennai have come together to create a one of its kind Retail Promotion. Titled "Chennai Shopping Festival" (CSF), this is organised by the Retailers and for the Retailers of Chennai. My own start-up Smiling Baby, a baby store that caters to the needs of new born kids upto six years is a member of Retailers Association of India (RAI), an Industry body that represents our needs and requirements to the Government and other bodies. Under the auspices of RAI, members of the organisation have come forward to create a marketing property which is CSF. The idea was rolled over on our WhatsApp group by a member, seconded by a few of us and actioned by all of us in just a week's time from start to finish. We have built a simple website that provides information about the various participating stores and their offers. Take a look here. Over 30 leading Retailers from Chennai spread over 300 stores in the city including Viveks, Odyssey, Basics Life to name a few have come forward to join in this promotion. The big highlight of this promotion is Uber has come forward to ferry passengers to select Retail Store locations by using the code CSF150 (One Free ride worth Rs. 150 for new users!). 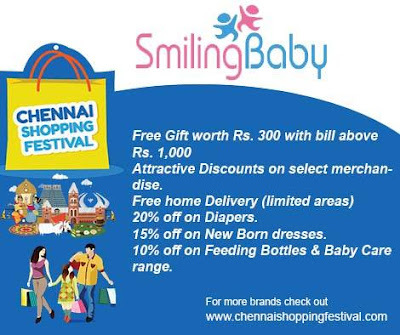 We at Smiling Baby also have a few interesting offers. Smiling Baby is located at E-135, 6th Avenue, Besant Nagar, Chennai. Ph. 044-43507015 / 9176300015. Open All days from 10am - 9pm. Over 100 brands are available at competitive prices across categories such as Baby Care, nursing & Feeding, Maternity, Cosmetics, Baby Gear, Toys & Games, Apparel and Accessories. The store is the ONLY Destination Store for Medala, world's best mother care brand and houses the entire range of Medela products such as Breast Pumps, Maternity Hygiene, Feeding bottles and so on. One can also find world's other leading brands such as Chicco, Pigeon, Fisher Price, Himalaya, Johnson & Johnson and many others. Once cam also shop online at www.smilibaby.in where the products will be delivered the same day or the next day with a Cash on Delivery option other than paying by Credit / Debit Cards at the place of delivery using mobile EDC machines. Do spread the word; visit the website and click the "Get Offer" button so you receive an SMS to your mobile. Happy Festivities. Happy Shopping.